This article by Sophie Vorrath & Giles Parkinson (RE New Economy 11 May 2018), answers the critics to the Tesla battery in South Australia, and shows that it contributes to cheaper sustainable energy. 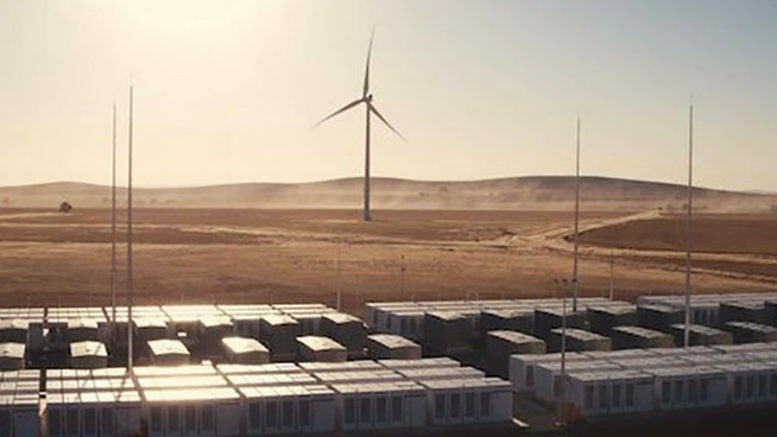 The Tesla big battery in South Australia has already taken a 55 per cent share in the state’s frequency and ancillary services market, and lowered prices in that market by 90 per cent, new data has shown. The stunning numbers on the economics of the country’s first utility-scale battery were presented at the Australian Energy Week conference in Melbourne on Thursday by McKinsey and Co-partner Godart van Gendt. He said that a lot of discussion around the success of the big battery – the biggest of its kind in the world and delivered at break-neck speed – had focused on the fact that “we did it,” and not on the economics. “So, I thought I’d give you a few numbers from the market data,” van Gendt said. “In the first four months of operations of the Hornsdale Power Reserve (the official name of the Tesla big battery, owned and operated by Neoen), the frequency ancillary services prices went down by 90 per cent, so that’s 9-0 per cent. “And the 100MW battery has achieved over 55 per cent of the FCAS revenues in South Australia. So it’s 2 per cent of the capacity in South Australia achieving 55 per cent of the revenues in South Australia. “So that’s great for the first battery in the market,” he added, “but if you’ve already had 55 per cent of the FCAS that are now gone, right… and a 90 per cent drop in price, then the business case for the second battery, of course, is a bit less attractive. Van Gendt’s calculations are just the latest in a series of assessments that show how the Tesla battery – despite being mocked by detractors for its small size compared to the overall grid – is having an impact on the market. Various estimates have put the cost savings to consumers from the FCAS market alone at around $35 million, just in the first four months of its operation. That’s a pretty good bang for the buck for the estimated $50 million investment by the South Australia government. South Australia is the only state that has experienced a decline in FCAS prices over the past few months. The fact that the Tesla big battery has been able to puncture the FCAS pricing bubbles created by the gas cartel illustrates how even small additions to capacity – and new dispatchable technologies – can change the equations and market dynamics. Tesla is doing more than that: It is also changing the way the market operators and participants are thinking about the grid, and underlying the case for new rules to be developed to ensure that their assets are properly recognised by the market. The Australian Energy Market Operator has praised its performance, noting how it can respond to faster than any conventional generator, and with more accuracy. AEMO has also supported the push for new rules that would recognise very fast response, which it is now using as a front-line defence against any further grid-scale blackouts. As van Gendt suggests, the development of new rules, and markets that place a value on its speed and accuracy, is critical for the next wave of batteries that will join the main grid over the coming months and years. This will starting with the new battery at the Wattle Point wind farm (now due in June), and then at the Lincoln Gap wind farm in South Australia, and three different projects in Victoria. Tesla Energy’s regional manager of business development Lara Olsen also spoke to the conference about how the value of the battery’s contributions to the South Australian grid could also be seen in its impact on bidding practises across the market. Tesla’s observations are that for a thermal generator, often what decides what and when it bids will depend on fuel costs and O&M (operation and maintenance costs). Renewable energy doesn’t have that fuel cost, and very low O&M, and battery degradation occurs only over time, so bidding became a matter of an opportunity cost. Would it get a higher price if it bid 10MW into this five minutes or not, and would it get a higher price if it held on and bid in an hour’s time? The same goes with charging. Should the battery operator hold off and will there be a lower price at which it can charge, even when it can’t charge from a renewable energy generator? Olsen presented a graph to the conference showing the amount of re-bids into the SA market for the first couple of months of the Hornsdale system. We can’t reproduce it, although energy wonks can find the data here. 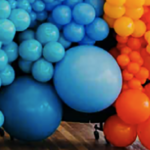 Imagine, though, two very big balloons (representing the Tesla battery bids from charging and discharging), and numerous smaller different coloured balloons, representing hydro, coal and gas generators. Something like this above. One of the two big bubbles represented the Hornsdale Power Reserve load, and the other the Hornsdale Power Reserve generation (charge and discharge). Both activities – load and generation – need to be registered, rather than the single facility. 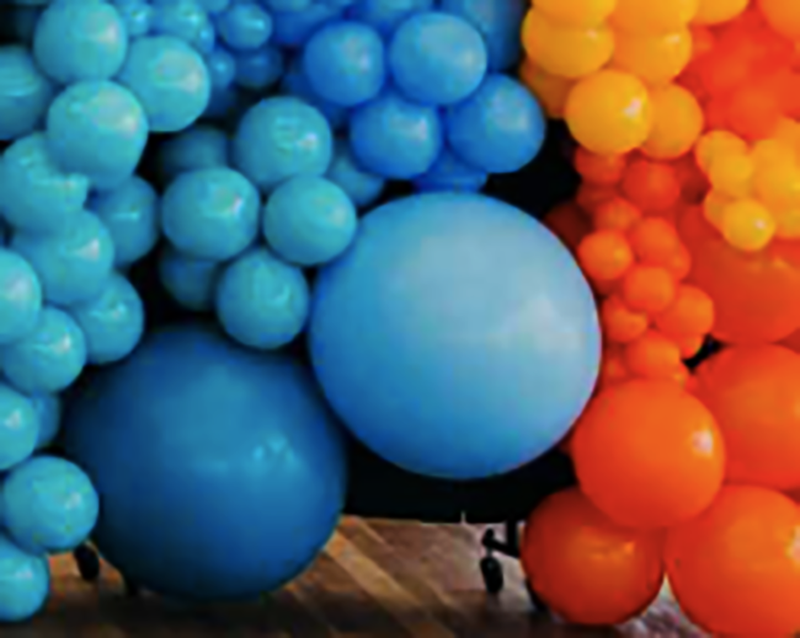 The smaller balloons represented the bidding of coal assets, gas generators, hydro plants, and even an aluminium smelter. But it was the speed and versatility of the battery that enable it to provide so many more bids than its competitions. Tesla says the fact that the fact that it is always looking at opportunity costs that you can respond in 200 milliseconds – so the battery is happy to discharge, charge, discharge, charge, as it doesn’t affect the battery degradation. And because it can use its software and take this into account and change its bids, means that it’s starting to participate in the market in a different way. And that will start to impact how generators also start bidding into the market. Be the first to comment on "The stunning numbers behind success of the Tesla big battery"